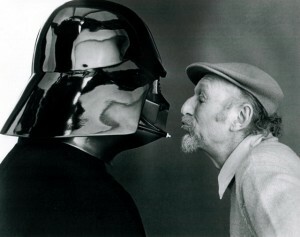 Irvin Kershner, best known for his directing the second Star Wars film, The Empire Strikes Back, died at the age of 87. Kershner while most famous for directing what many regard as the best Star Wars film, was a World War II veteran, who got his start making documentaries for the U.S. Information Service. He later went on to direct TV shows and his first feature length film, Stakeout on Dope Street, a start given to him by Roger Corman. Later Kershner taught film at University of Southern California, where he met the young George Lucas. Kershner’s biggest career achievement came at the age of 67 when The Empire Strikes Back was released into theaters. The film was a commercial and critical success, and is still arguably viewed as the best film in the Star Wars saga. Kershner lended a new sensibility that paired well with George Lucas’s space opera, and gave the film a darker tone than the first film. Kershner didn’t have a large career after his success in the Star Wars universe, but he did continue to direct, and released films like Robocop 2 and Sean Connery’s last Bond appearance Never Say Never Again. The director sucummmed to a three and a half year long battle with lung cancer yesterday. Kershner is survived by his sons, Dana and David. As a huge Star Wars fan, it would be sacrelgious of me to say otherwise, but I agree that ESB is the best Star Wars film in the saga, and it still remains one of my personal favorites to this day. The film world lost a great director with Kershner.